Not my Mom, if she returned from the great beyond, it would be bigger news. This post is about meeting up with the woman who you might recall, harassed me a couple times about my hair. I made the comment at the time, she reminded me of how my Mom would have approached me. Fortunately this time, I just had my trip to my hair dresser Friday, so visually I was ready for her. When Liz and I arrived at the outside shelter house near a nearby lake, it didn’t take her long to approach me. To her credit, she was very positive about my hair which indeed made me feel better about our relationship. Then, she asked could she tell me something and I thought now what? She paused and said how proud she was of me for living the life I wanted to. I was taken totally off guard. Finally I managed to blurt out the truth…I appreciated her acceptance but my choice didn’t come out of bravery or anything like it. I literally didn’t have the chance to be brave, it was either change my life or lose it. A day later as I look back on her comment though, I feel now as if I finally found a sense of peace with my long deceased Mom. Whose approval is what I really wanted. Thanks to my new Mom, Monika. I have mentioned a couple times here in Cyrsti’s Condo about how I was tricked into receiving a deeply discounted subscription to Cosmopolitan Magazine. What happened was when I was buying clothes one day, I was offered a “free” subscription. Of course, nothing is free and the subscription turned out to be only five issues which would automatically renew unless I followed a convoluted set of instructions to cancel it. Amazingly though, I found plenty to interest me in a publication targeted mainly to “female identifying persons.” Even more impressive is I found that definition in the editor’s comments. For some reason my subconscious is tuned into anything remotely related to transgender issues when I read (or even scan) another article or post. Later on in the issue (May) I found out why the editor singled out “female identifying persons” for her mini editorial. It turns out Dove is running an advertising campaign called “#Show Us – beauty isn’t binary” because 70 percent of women don’t feel represented in media and advertising. Further more, model and trans activist Elle Rose of South Africa was featured in the ad. #Show Us issued this statement March 28:The lack of true representation in the media of women of all shapes, sizes, ethnicities, and identities is glaringly obvious. … Dove has undertaken a survey of women which found that 70 percent of them still do not feel represented in the media and advertising. All of this takes me back to the photo album I was asked to pose for a year or so ago here in Cincinnati. Posted bycyrsti April 18, 2019 Posted inUncategorizedTags: #Show Us, Cosmpolitan, Cyrsti Hart, LGBT, transgenderLeave a comment on Cosmo Girl? It turns out my testosterone was very low and my levels of estrogen were as to be expected too. Also, the blood tests detected a slightly elevated of potassium. So, to counteract it, she (my Doc) is decreasing slightly my dosage of Spiro. I used to eat a banana a day, thinking it was good for me, until I found it wasn’t and contributed to severe pain in my legs. Then I came back to my senses (what’s left of them) and realized I was going against one of my basic principles…my health comes first. Yesterday’s mammogram and today’s call from my endocrinologist have proven to me again how my transgender journey came from having no choice and is definitely no game. I have always been humored in a negative way by those who think any of us had a choice to go down this road. 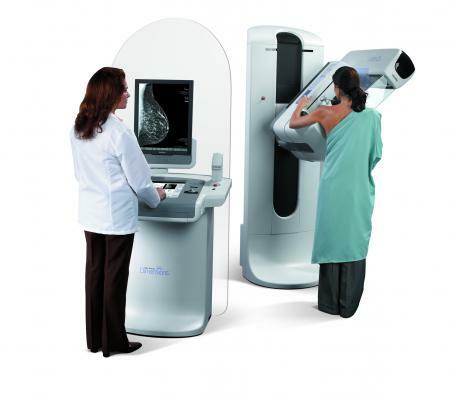 Even though I chose the newer 3-D method of mammogram (thanks Michelle), the procedure was no walk in the park. For those of you who don’t know, a “3-D gram” provides a better look at denser breast tissue, normally associated with transgender patients. The technician was different in how she phrased the question most civilians want to know, when she innocently asked if I had completed my Mtf transition or still was expecting work to “move things around.” I had a notion to say it was none of her business until I thought ahead and realized this person was going to cause me some potential discomfort. So I just replied I thought I was close to being done. Our local Transgender community was recently shocked by a trans woman who passed on (in her 40’s) from complications when she went through breast augmentation, facial feminization and gender realignment surgery in the same procedure. As we were finishing up and walking down the hall to leave, she was pleasantly telling me her about her love for upscale purses and then never carrying them. So hopefully I will be done with mammograms, which I call a rite of passage, until next year. The game part of this post will be coming up in my next Cyrsti’s Condo offering, as this one is getting a little long. Stay tuned. Starting off a brand new week for me means it’s time to step back and take a brief moment to what is going on. First of all today I have my much procrastinated mammogram which should have been scheduled in January. The reason I put it off wasn’t the procedure itself, which only provides some minor dis-comfort, more so was where I had to go to get it done. Then, after all the putting off, I found the hospital now offers a new imaging center which is much easier for me to get to. So, my appointment is at two today. I also was able to refill my Spiro this morning without any hassles. It’s the drug I take to keep my testosterone low as well as my blood pressure. It was nice I didn’t have to go to any convoluted moves to get it done when I called the pharmacy. The woman said it had already been taken care of. The rest of the week is fairly quiet except for Thursday when we have a social dinner with my transgender – cross dresser group. This will be the fourth time we have went, so I am learning who to avoid. If I can. At least with a few of the attendee’s. we have moved from what gun they are carrying in their purse, to seeing endless pictures of their kids. Since this weekend is a week before the Trans Ohio Symposium, we probably won’t do much except maybe go ahead and get our nails done. Not much else is happening! Well, I finally got off my rear and scheduled my mammogram appointment for Monday. It’s actually in an easier hospital to get to for me and I don’t have to navigate the congested maze of hospitals located around the (Cincinnati) downtown medical center. Plus I won’t have to walk as far. Yesterday, I also left a message with my endocrinologist asking her if she ever received my blood test labs which measure the estradiol (synthetic estrogen) and testosterone levels in my body. I have not heard back yet from her. One way or another it’s not earth shattering because I am not trying to do anything very dramatic. Also, going through my Doc is the safest way to go. Changing subjects here, the very crowded Democratic primary seems to keep adding people many of us have never heard of. Certain groups through are attempting to sort through all the political BS to give us a deeper look into the candidates. In fact, Democratic candidates will be facing off on LGBTQ issues in a forum this fall. It’s a long read, but you can go here to check it out. It helped me to at least put ideas with names for a change. Yesterday I went with my partner Liz to her Doctor’s appointment and felt good. The wait is normally short and I fool around on my phone and people watch. For a change, my Mtf Gender Dysphoria was at a low point, so I felt good about myself presenting as a trans woman in public. One would think, as much and as long I have lived full time, all anxieties would begin to diminish. And, for a change, they have. For the most part yesterday, my interactions were all with other women since Liz’s Doctor is in a University of Cincinnati women’s health center. For all I know they could have thought I was there for any number of issues except pregnancy. However, if I don’t continue to walk and control what I eat, I might be looking like I am pregnant anyhow. Speaking of women’s health issues, I better get my mammogram scheduled. My maternal grandmother passed from breast cancer in the 1950’s so a precedent has been set in my family to get it done. My latest excuse is we are down to one car and I have to be careful to schedule it around my other medical appointments, as well as Liz’s. Again the whole deal is part of being a woman and I need to get it done. Finally, I have not heard back from my endocrinologist concerning the possibility of increasing my HRT. I did how ever, receive an extra dosage of Estrogen (Estrodial) patches from the VA, so maybe I have been approved but just not told yet. Yesterday as I mentioned before here in Cyrsti’s Condo, was my monthly visit to my therapist. The session went as expected with extra emphasis on Veteran’s Administration mandated surveys they are over prone on occasion to give out. The surveys basically delved into potential depression and it’s results. We also went into the Trans Ohio Symposium information I recently received and I am scheduled to present one of the first workshops on Saturday morning. I laughed I would potentially still be hung over from the attendee mixer the night before which we always attend at Columbus, Ohio’s Club Diversity. Liz and I always safely Uber about the city on our pre-destined trips to alcoholic venues. My therapist and I also talked about my trip to visit my vacant property in Springfield to pick up any litter as needed. It turns out no upkeep was needed. “Maybe I can save you a trip to the therapist (or give you something to talk to the therapist about). Have you considered that the littered vacant lot could represent your past – experiences you lived, but now wish would just go away? I think, when we transition, we may be anxious to be rid of the male persona in favor of a new totally-feminine existence. All of our past experiences culminate into who we are, though. In the (long) process of transitioning, I believe that it’s impossible to vacate our pasts, but we do begin to view them from a different perspective. Although there may be much that litters our past, the important things, like close personal relationships, can’t be ignored. Today is my first daughter’s 40th birthday (how can that be, when I am still in my 40’s?). 🙂 I have been reminiscing about her this morning, and, although I wouldn’t ever want to forget anything about her, there are some not-so-great things that litter my memories – the time when she was about eleven, and accidentally caught me cross dressed, being one of the most regrettable. We can’t erase anything, but we can pick up the pieces and try to put them into a new perspective. There are plenty of other things from my past – good and bad – that I will never forget, but I certainly don’t talk about them as I might have years ago. Sitting around with a bunch of guys (even if they are in dresses), trading stories in a one-up-man-ship manner, is just not appealing to me these days. It only ever was because I was so into the overcompensation game of hiding my femininity with demonstrations of hyper-masculinity. Oh, how silly I now see myself to have been! Posted bycyrsti April 10, 2019 Posted inUncategorizedTags: Cross Dresser, Cyrsti Hart, Lifestyle, opinion, transgenderLeave a comment on Shrink Wrapped? I had a pleasant surprise yesterday. My partner Liz and I were invited out for “Happy Hour” Margaritas with a woman friend of hers at a nearby Mexican Restaurant. The invite turned out to be a happy two hours of chit chat. We basically talked about the direction of the spiritual social group we are in. Which included future meetups, Cincinnati Pride and the Witches Ball. All went well and I enjoyed being included in “How are you ladies doing today.” And being called “Mam” by the male server. I don’t think it will ever get old. Changing the subject, tonight is the support group meeting of Crossport , the transgender – cross dresser group I am a member of. Normally, always something interesting comes fro it. Tonight is the big preparation night for Friday’s clothing swap which we are doing in conjunction with another transgender group here in town. Last year I found a purple leather fringed purse I gave to Liz since her favorite color is purple. It will be interesting if I can find anything nice this year. What I really want to say tonight is (and I won’t), can certain members stop the stories of their old male muscle car antics. Or at least come up with some new ones. I just don’t understand why some of these people want to glorify their old male existence as much as they do. A percentage of them though are cross dressers who still live in the male world. Perhaps it helps them to keep one foot in that world even though they are dressed feminine. I know years ago when I was exploring the impossible dream of coming out of my closet, I did close to the same thing. Now I just want to forget most of what I did back then would just go away. Speaking or going away, tomorrow is my monthly therapist visit. On the way, I am going to stop by the old vacant lot I still own to see if anyone has been littering it. I have been putting it off, so it’s finally time to take care of any issues which may have cropped up. If I can. Finally, before I forget. I hope you all have a great week! Unless you are considerably better read on transgender affairs than I am, you probably don’t recognize the name. I didn’t until she burst into my conscience this morning on the CBS Sunday Morning Show. As I was getting ready to undertake my Sunday morning chores (including a blog post…a fun chore) I paused to watch the “Opinion” segment of the show. All of a sudden, host Jane Pauley was talking about resident rumps’ position on blocking transgender troops from serving. Then, she introduced Charlotte Clymer, a real transgender veteran. I probably don’t have to tell you what happened next. Charlotte proceeded to lay out her military experience explaining how when she folded a flag as an honor for a troop who paid the ultimate sacrifice, it didn’t matter if the person was white, black, gay or straight and finally transgender or not. Of course she went on to point out “commander bone spurs” (rump) didn’t serve at all. Plus, rump was going against some of his top military generals who favored trans service. I saw this literally about an hour ago. Approximately 10:15 AM, Eastern Standard Time. Obviously, positive/strong opinions like Charlotte’s are hard to come by and so needed! I just received a message my workshop proposal for the Trans Ohio Symposium has been accepted. The symposium takes place this year again at THE Ohio State University Student Union center from April 26th through the 28th. I will find out later in the week when my workshop is scheduled. The whole weekend is beginning to come together for Liz and I. A week ago we secured a hotel reservation at a nice venue close enough to the campus which provides a free shuttle service to the union. Then, a couple days ago I reserved a rental car for the two hundred mile trip to and back from Cincinnati to Columbus for the symposium. Which saves extra wear and tear on the only high mileage car we have left. The other self destructed a couple weeks ago when the timing belt broke. Plus, we won’t have to worry about an untimely breakdown on the trip. Now I have to concentrate on “fleshing” out the workshop proposal I sent. Fortunately, a trans friend of mine brought back a helpful little booklet I could use from the “Keystone Conference” in Harrisburg, Pennsylvania not long ago. It’s a great “cheat sheet” or for those of you who remember, a version of”Cliffs Notes” on transgender issues. I really need to do a better job of presenting this year than last year…no crying! Before I conclude this post, I would like to say hello to Angie in Kentucky! Posted bycyrsti April 4, 2019 April 4, 2019 Posted inUncategorizedTags: Cyrsti Hart, gender dysphoria, LGBTLeave a comment on Accepted! Cyrsti's Transgender Condo , Create a free website or blog at WordPress.com.